exprerementfield wrote: The best strategy is to trade with the best broker. Won't recommend any specific one in order to not to be considered ad or something. So take a look at ratings of brokers http://trade-leader.com/. 2. Then you link a non crypto website as "help". I want to shoot my self now if this is considered help. Why did you even write? Sorry, but this kind of people are driving me nuts as a new user. No help to find anywhere lol. Its a spamming message, they have broken our security and kepe coming in. We are trying to fight them off by removing the messages each day, but is a game of cat and mouse. Best is to ignore them and press the resporting button, so we can clean it up. About good help... the best help we can give is based on word: KIS. Most people see the price trend and make the assumption that they need something complex to trade upon it. This is the wrong mindset, forget complexity, use simple approuches (Keep It Simple) and you can be successfull very quickly already. Do not aim for gold because the likelyhood of getting that is low, go for silver. Okey, thanks for the reply. I see, yeah spammers are hard to beat. I think I will have to personal message you Stephan some day, because I have some small but important questions that are holding me back. TA doesn't work. Most of the indicators are no better than random chance (and some are actually consistently worse). Haasonline is buggy. Back-testing tells you virtually nothing. I've had my team doing a detailed evaluation of Haasonline for the last 2 months and so far the conclusions are exceptionally clear: the software quality is sub-par and the premise is flawed. 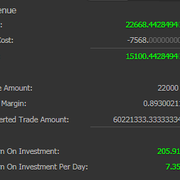 We have not yet seen any example pf a bot that has outperformed random chance by a statistically significant margin. I know for certain that this isn't what you want to hear, so feel free to ignore. I don't want to be the cause of anyone's bad day. Quartermark wrote: TA doesn't work. Most of the indicators are no better than random chance (and some are actually consistently worse). Haasonline is buggy. Back-testing tells you virtually nothing. I've had my team doing a detailed evaluation of Haasonline for the last 2 months and so far the conclusions are exceptionally clear: the software quality is sub-par and the premise is flawed. 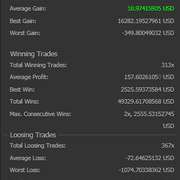 We have not yet seen any example pf a bot that has outperformed random chance by a statistically significant margin. I know for certain that this isn't what you want to hear, so feel free to ignore. I don't want to be the cause of anyone's bad day. Hmm. Are you sure TA doesn't work? That makes me wonder what kind of trader you are. You could elaborate on that a bit more, if you don't mind. Sure, there are many ways to trade crypto with, but that doesn't mean something is bad just because there are alternatives... Also, if it is you (or your team) who fails to trade with something, that doesn't make it bad either - or does it? I'm sure we all have something that floats our boats and/or is our cup of tea, but opinions should not be presented as facts. Check out my kingdom for custom scripts for trade bots here!